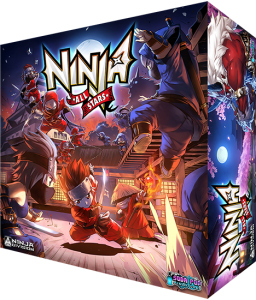 Ninja All-Stars is a new game coming from studio Soda Pop Miniatures, and published by Ninja Division. Ninja All Stars allows for 2 to 4 players to take control of a team of ninja (this may be a pre-rolled team or a team purchased with points) and battle over objectives. Each Ninja Clan is drawn from a different element (6 in total), with each element providing different bonuses in-game. 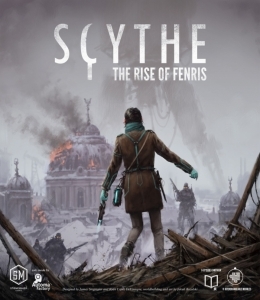 As well, the game's dice mechanic is based on the element system, using a rock-paper-scissors type of dice elimination to determine the outcome of various aspects such as combat, searching, and special abilities. It is important to note that combat is not a simple "I rolled more swords than your shields"; the elimination of dice will give the winner a choice of different combat results based on the remaining dice. The interesting point here is, ninja don't die in this game-rather,they are knocked out and placed in their team's dojo, where they rest and recover and may eventually be brought back onto the board. The rules allow for one-off scenario games as well as league play with guidelines on ninja advancement, meaning that players can develop their ninja over many games. 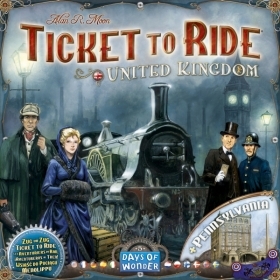 The game comes complete with enough miniatures to allow for 4 teams, each of a different element, the game board, and numerous tokens for game effects.